The future as a field of inquiry, debate or forecasts continues to flourish. However, this book differs from existing literature in several important ways. It is not another publication on future scenarios guided by a linear technological fix - nor is it simply a volume of new statistics on economic, demographic or geopolitical developments. Rather, Future Courses of Human Societies explores and builds a general framework for the long-term evolution of human societies. Drawing upon a wide range of insights from across the social and natural sciences, the authors of this title present original, exploratory methodological and analytical approaches to examining the future. Encouraging the reader to deepen their knowledge and encourage critical thinking, three themes are considered in their complexity and multi-dimensionality: technological innovations; future ‘progress’; and the critical aspect of organizing collective life in the future. Furthermore, in contrast to previous studies which have embraced a relatively short time-span, this text incorporates perspectives from the immediate to the distant future, extending to several centuries and even millennia. 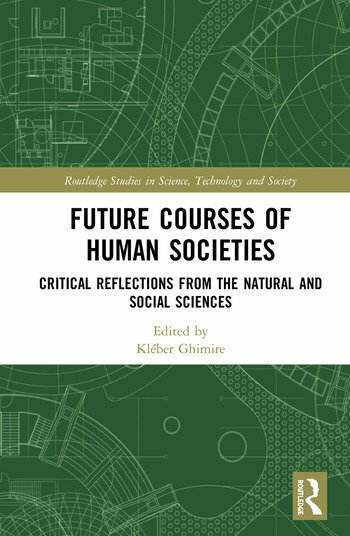 An interdisciplinary and internationally comprehensive volume, Future Courses of Human Societies is a key source for students and researchers interested in fields such as future studies, technology in society, interdisciplinary learnings on social and natural sciences and future economic and political evolutions. Chapter 3: The Evolution of Future Societies with Unlimited Energy Supply? Chapter 5: 3D printing: A New Industrial Revolution?